Building management board a bad idea? The Board of Building Managers (BBM), which was proposed by the Ministry of Urban Wellbeing, Housing and Local Government (KPKT), may not be in the best interest of all industry stakeholders, says former director-general of the Valuation and Property Services Department (JPPH), Datuk Mani Usilappan. KPKT minister Datuk Abdul Rahman Dahlan recently announced that the ministry will be working on the formation of a board to give property managers the legitimacy and the authority they need to perform a range of tasks. 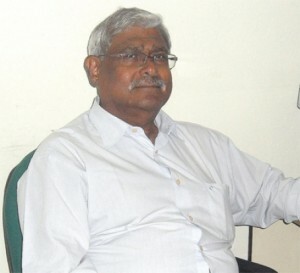 However, Mani, who served as D-G of JPPH from 2005 to 2006, pointed out that while the idea of having individual and independent boards to register, regulate and control professional practices is a laudable one, “the move to structure a new board to operate separately from an existing board does not lend itself to any logical acceptance”. Is is not logical to introduce a new board when there is an existing one, says Mani. “The call for a separate board for property management does not arise from a separate need for one; it is to distinguish and separate the people who manage the Board,” he told Property360. Mani said the need for a BBM today must be measured in the context of the development of property management over the last 20 years. “About 20 years ago, there was a call for the registration of property managers. The Board of Valuers, Appraisers and Estate Agents (BVAEA) duly noted its necessity and proposed legislation to expand the register to provide for property managers. “Underlying this was the fact that at that point of time, the function of property management was clearly within the legal and lawful ambit of a registered valuer,” Mani explained, quoting on Section 21 (c) of the Valuers, Appraisers and Estate Agents Act. Hence, he said, it was only logical for BVAEA to introduce a separate register, from that of the valuer, to a cater to the function of property management, notwithstanding the fact that the educational and professional training for both professions is the same. He said the register that was proposed was opened to all who were practising property management, regardless if they were professionally qualified or accredited to any association or body. This, he added, eventually opened a Pandora’s Box, as those who wanted property management to be opened to them turned around and decided that property management was a business and not a profession, and therefore do not see the need for a regulatory mechanism. The proposed Board of Building Managers to regulate strata management practices is lauded by many, but questioned by some. With that in mind, Mani said the current call for a new and separate board seems suspect. “Now there is a push for a new board under the purview of a separate ministry, and the only reason I can think of for such a move is that ‘they’ want to control it,” he said. The BVAEA falls under the purview of the Finance Ministry, while the newly proposed BBM will fall under the purview of KPKT. Mani said the motives of those who wish to have a separate board need to be looked into as well as their qualification, knowledge and skills to practise property management. “So far no one has given any answers, and worse still, no one has questioned them,” he said. Commenting on Rahman’s announcement on the decision that building managers can register themselves with Commissioners of Building (COB) while waiting for the establishment of the board, Mani said he believes that the minister has been “ill-advised”. He explained that a COB’s function is to monitor and ensure that strata buildings are well managed, and if it fails, then the minister uses his power to appoint a managing agent. “Only he [the minister] can appoint a managing agent and even then under two situations; firstly when there is no committee (JMB or MC) to be formed to manage and the other when the management of the strata building is not managed to his satisfaction,” he said. Earlier, Property360 reported that Building Managment Association of Malaysia (BMAM) president Tan Sri Datuk Eddy Chen Lok Loi said that despite BMAM’s effort to uplift and the proficiency and status of building and property managers, the challenge remains in sustaining an orderly and well regulated sector. This led to KPKT’s urge to set up the BBM and introduce proper statutory standards that can be streamlined to provide the consistent quality service that strata property owners deserve. “A dedicated board will give a renewed impetus to an industry that is set to grow exponentially,” Chen said. 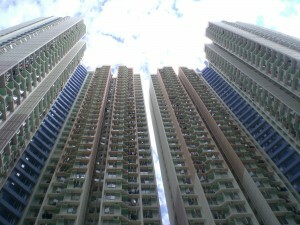 The on-going dispute among various sets of property professionals, about who has the right to manage strata properties, has raged on for almost a decade. This, strata owners say, is causing a great deal of confusion and they are eager for more clarity on the issue.